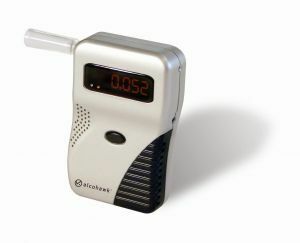 A recent win by DUI defense lawyers in West Virginia has relevance for our Broward DUI defense lawyers, as we await a decision from our own state supreme court regarding access to breathalyzer machine data. In West Virginia v. Overington, the primary question was whether defendants have a right to specific technological information regarding the device that is used to convict them. The answer, according to the state court of appeals, was a resounding yes, affirming rulings by both a judicial circuit court judge and, before that, a county magistrate. We hope this will foreshadow the decision to be made soon by the Florida Supreme Court, which is weighing whether the out-of-state manufacturer can be compelled to produce software information relative to the Intoxylizer 8000, which is used to convict tens of thousands of DUI defendants ever year. In the Florida case, the state is attempting to argue that the powers of subpoena for those records end at the Florida border, meaning the Kentucky-based firm can’t be forced to turn over information about the machines. The company has said that the release of such information would be akin to releasing trade secrets. The defense team, on the other hand, argues that breathalyzers have had a high rate of failure, and that the information regarding how the devices reach a conclusion is critical. What’s more, if the company can’t be forced to turn it over, the state law enforcement agency that approves its use should be able to do so. Otherwise, it can’t guarantee the effectiveness of the devices and therefore, probably shouldn’t be relying on them to obtain criminal convictions. That case was argued before the Florida Supreme Court in February. This case out of West Virginia is similar, only the defense team had been asking for the working history of the breath machine used in each particular case. The case that started this was an early 2011 misdemeanor DUI arrest in which the defendant was given a breathalyzer test and failed with a reading of 0.149 percent blood alcohol level. A few months into the case, the defense attorney filed a motion requesting a breath test discovery, pursuant to the clause in both the Sixth Amendment and the state constitution that provides defendants the right to cross-examine the accuser. In this case, the accuser would be the breathalyzer. A “cross-examination” would be a challenge of the machine’s working history, which would reveal any prior inconsistencies that could be relevant to the current case. The magistrate granted this motion. The prosecutors appealed, saying the magistrate had overstepped the bounds of her authority and specifically that such an order was outside the scope of discovery allowed by the magistrate. Plus, they argued the defendant had not illustrated why this might be relevant to the case. While prosecutors conceded that this was information that could be easily obtained, they simply didn’t want to hand it over. In the end, that argument did not sit well with the state’s court of appeals, which ruled that the defense had a right to review that data and that it was relevant to the case. We are hopeful that the decision of the Florida Supreme Court will be along those same lines.